Being Earth-friendly isn't about environmental activism. It's about making little changes that improve your own life making you healthier and happier. If you happen to save the planet at the same time...that's just super! 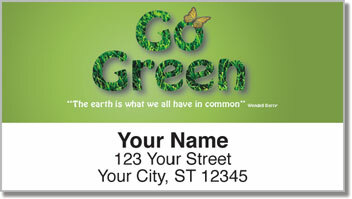 For you "Going Green" is more than just a trendy movement. It's a lifestyle commitment that you carry out each and every day. 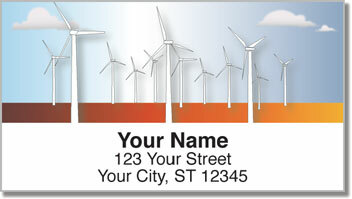 Spread the help for a greener planet with these unique return address labels! 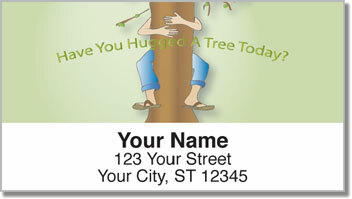 The four unique designs on Green Living Address Labels from CheckAdvantage feature imagery that reminds you to show the world a little love. Plus, you'll appreciate how much faster you'll be able to complete the task of getting your letters and packages ready for them mailbox! Just peel and place your self-adhesive labels! 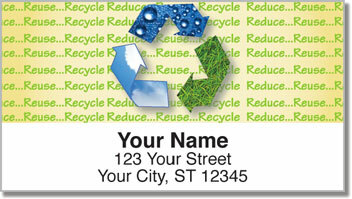 Get your very own Green Living Address Labels today! They also come in a matching check design.